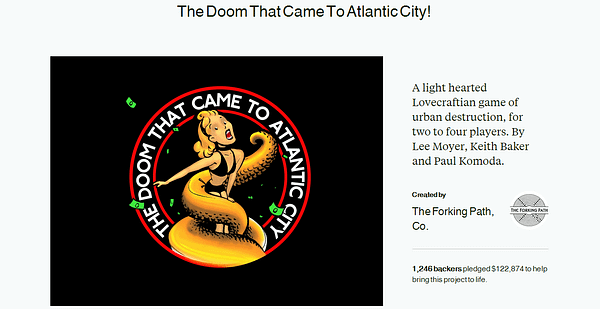 The Federal Trade Commission took legal action against the project creator of the Doom That Came To Atlantic City Kickstarter. A parody of the popular Monopoly board game, the project was plagued with issues when the project creator, Erik Chevalier, admitted to using funds from the Kickstarter project to either rent or purchase a home, secure licenses for other games and start a film productions company. Artists and the games designers said that no money was ever paid out to them. Eventually Cryptozoic Games stepped in and produced the board game to send off to backers, with a very small number left over for retail distribution. A number of the high pledge items, like specialized pewter miniatures designed by sculptor Paul Komoda were never delivered, and this was at the heart of the legal action taken by the FTC against Chevalier. What sets this case part from other Kickstarter swindles and missteps was the fact that Chevalier openly admitted that he had misspent the money. While there is no shortage of mismanagement of Kickstarters or the money raised from them, there are considerably fewer where the project creator has admitted their wrong-doing in public like this. What can this mean for other Kickstarter campaigns that are negligent, or just extremely tardy? From the FTC’s website, the agency “stops unfair, deceptive and fraudulent business practices by collecting complaints and conducting investigations, suing companies and people that break the law, developing rules to maintain a fair marketplace, and educating consumers and businesses about their rights and responsibilities.” This means that the FTC doesn’t initiate this process, but it is started with consumer complaints. It wouldn’t take much to imagine the floodgates this could open for other late or vanished Kickstarters. While high profile, this is by no means the only tabletop gaming Kickstarter to face delays and other problems. In March of 2010, former Wizards of the Coast editor Gary M. Sarli successfully funded a project to “evolve” the popular D20 system rules into a new gaming system, taking in $14,605. In September of that same year, former White Wolf developer and designer Phil Brucato funded his Power chords role-playing game at $5,055. The following year, in August of 2011, designer Gareth-Michael Skarka funded his Far West role-playing game at $49,324. Of these three project, both Skarka’s Far West and Brucato’s Powerchords have kept backers apprised of the progresses of their campaigns. 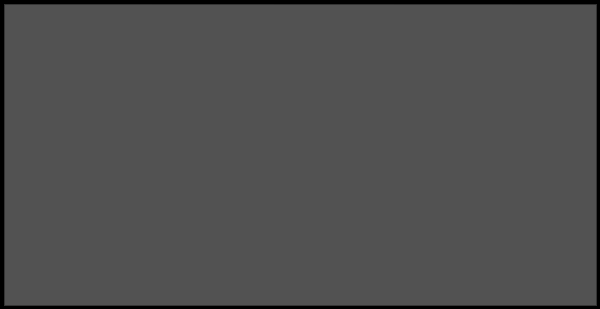 According to public updates,Powerchords has been in layout since November of 2014. Sarli published an update in August of 2014 and then disappeared. Skara regularly posts updates to his Kickstarter, but deadlines come and pass. Obviously these are not the same as what happened with The Doom That Came To Atlantic City, but they demonstrate how a Kickstarter can overwhelm a company, or individual, not prepared for the success of their projects. More effort is being made by some of these project creators than others, but none of them equal what was done by one time TSR staffer Mike Nystul. Over the course of 2012, Nystul launched three separate Kickstater campaigns: Nystul’s Infinite Dungeon, a dungeoncrawl adventure for various game systems, in May, Axes & Anvils, a dwarf-centric role-playing game, in July and Cairn, a roleplaying game featuring woodland animals such as mice, badgers and hedgehogs, in November. These three Kickstarters took in a total of $75,212. Eventually the Cairn game was put out by another publisher and designer, but the other two Kickstarters never released anything outside of rough playtesting drafts. What ever happened to all of that money? Really, only Nystul knows, but there were public posts showing tattoos and travel purchased, so it is hard to say where all of the money went. Will this FTC suit stop scammers on Kickstarter? No, probably not. Even Chevalier’s settlement didn’t find him actually having to refund any of his backers or actually provide the high end items promised, regardless of the FTC finding him guilty. This might slow down people, but it is highly unlikely that there will be an end to Kickstarter projects disappearing, or the money from the projects disappearing, unless more cases come forward.